KOLKATA, 7 Jun 2009: The bloody trail of political violence created by Trinamool goons stretched to new areas on Saturday, pushing deep into Malda and East Midnapore. The situation in parts of Hooghly and East Midnapore that witnessed violent attacks on CPI(M) cadres and supporters in the last few days continued to remain tense on Saturday. Trinamool Congress workers in East Midnapore's Panskura went into a huddle after news reached that CPI(M) local committee member Gobinda Samanta had succumbed to his injuries at Sambhunath Pandit Hospital in Kolkata. Samanta was allegedly attacked by Trinamool men at Simulhanda in Panskura on Friday morning. A CPI(M) local committee member from Palta, Samanta was elected to the Keshapat gram panchayat in 2008. A 12-hour bandh has been called in the area on Sunday. Salboni murder: CPI(M) leader Jayanta Mahato (35) was killed by Maoists on Saturday morning at Dirghosa jungle in Salboni, West Midnapore. An armed group of 15-20 men dragged other CPI(M) leaders out of their home and beat them up in the Dhinpur village panchayat area. Last Tuesday, Maoists had announced at a meeting that Mahato would be killed. 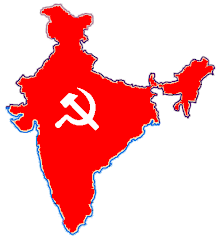 Shyam Pandey, CPI(M)'s Salboni zonal committee secretary, said, "Around 50 leaders have fled the locality in fear." Fearful villagers did not venture out to remove Mahato's body. SP Manoj Verma said, "We heard that a few CPI(M) leaders have been kidnapped by Maoists. However, we have not received a murder complaint yet." College clashes: Barasat Government College and Naihati RCB College were rocked by clashes on Saturday over distribution of UG admission forms. Though many students were injured, police have not arrested anyone. SFI and Trinamool Chhatra Parishad have lodged complaints. Trouble broke out at Barasat college during form distribution. SFI supporters alleged that TMCP boys were threatening them with dire consequences if they entered the college campus. In the clash that followed, TMCP boys started hurling bricks and bombs to SFI supporters. MP Kakoli Ghosh Dastidar reached the spot. TMCP boys later ransacked a shoe store and threw bricks at police jeeps. Barasat police IC Paritosh Ghosh was injured in the incident. Murshidabad deaths: A CPI(M) activist was killed and at least four others were injured on Saturday evening while making bombs at Katabari village in Jalangi. The blast victim has been identified as 30-year-old Kajal Sk. He was a local CPI(M) leader. Police sources said the others were all local panchayat members.